Just moving to Greenville is proving to be an enlightening culinary journey. Already thoroughly enjoying my first upscale steakhouse in Greenville, Rare Steakhouse on the Piazza serves delectable cuts of steaks. Offering filet mignon, strip, rib-eye and a 40 oz porterhouse (enough for two people), steaks are cooked to guests desired done-ness.. The porterhouse satisfies both the filet mignon and the strip fans. 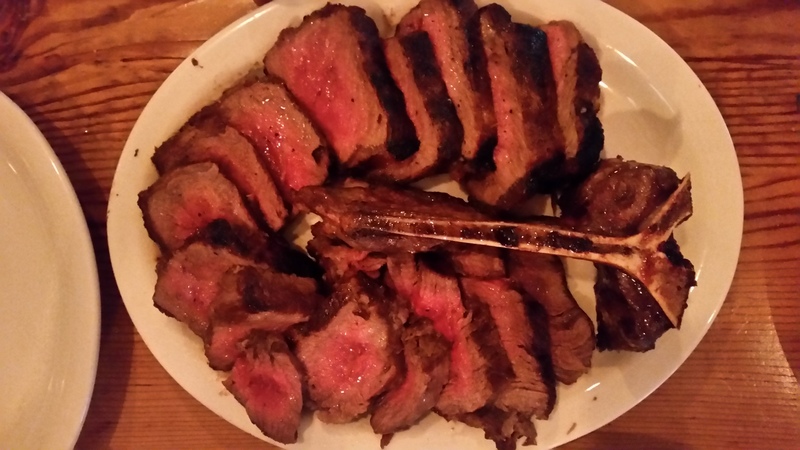 Sliced before it is brought to the table, our porterhouse was cooked to perfection. With a slight grill flavor with a peppercorn crust rub, it was absolutely delicious. 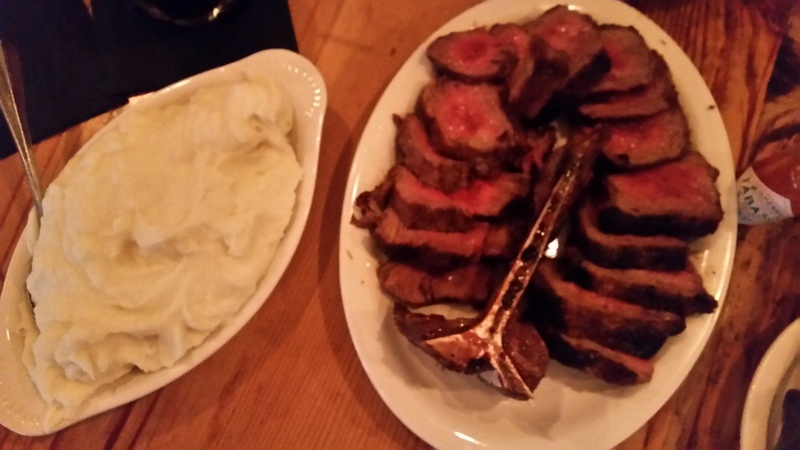 Sides are available a la carte, which the mashed potatoes were a perfect accompaniment to our steak. Traditional or horseradish styles are available, meshed with a roasted garlic and Parmesan. Atmosphere was very pleasant and comfortable. Service was above average. I would highly recommend Rare to anyone visiting and wanting a steak. Reservations are not necessary but recommended.